The 2017 NFL Draft is in the books. It was exciting for Philadelphia, life-changing for the players selected, and exhausting for two PFF editors who like to use Twitter. But for fantasy players, it’s time to look ahead and see what changed. Below isn’t about the rookies. We’ll get to that, pretty much constantly over the next week or two. Today, we’re taking a quick trip through the veterans whose situations were (or weren’t) changed by the events of the weekend, looking for winners and losers. Philip Rivers, QB, Los Angeles Chargers: Not only did the Chargers not draft Rivers’ theoretical eventual replacement (as the Steelers and Giants did for Ben Roethlisberger and Eli Manning, respectively), but they helped to rebuild Rivers’ offensive line with Forrest Lamp and Dan Feeney, and they gave him one of the draft’s top receivers in Mike Williams. There might be a lot of mouths to feed in the Chargers’ receiving corps to take advantage of any one pass-catcher, but Rivers should feast. Jared Goff, QB, Los Angeles Rams: Goff’s rookie year was not the type of year that predicts any kind of hugely successful quarterback, but the Rams are going to do what they can to give Goff a chance. They doubled down on tight end with Gerald Everett, and added two more receivers in Cooper Kupp and Josh Reynolds. Add in the signings of Lance Dunbar and Robert Woods this offseason, and while Goff might not have Raiders-level weapons, if he struggles in 2017, it’s on him. 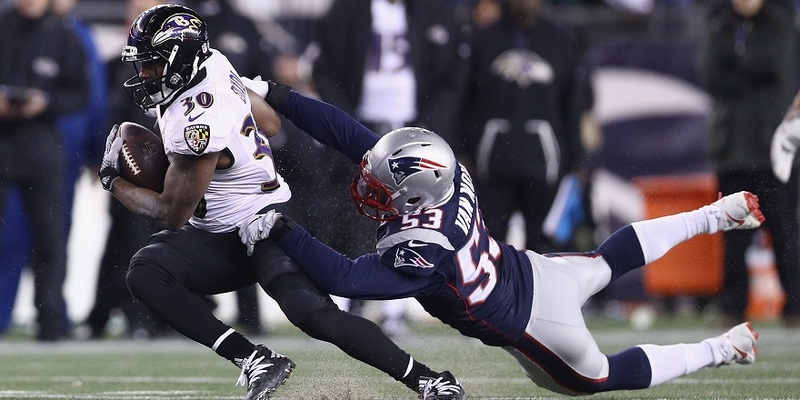 Kenneth Dixon, RB, Baltimore Ravens: Dixon closed out 2016 on a promising note, but after the Ravens signed Danny Woodhead and the NFL announced Dixon was suspended for the first four games of the season, there was some question whether Baltimore might draft a Dixon replacement and/or stand-in. But the team not only didn’t draft a running back, Baltimore didn’t draft a single offensive skill player. Dixon might be out four weeks, but the job’s almost certainly his upon his return. Frank Gore, RB, Indianapolis Colts: The Colts were linked to any number of early-round running backs, like Dalvin Cook, Christian McCaffrey or Curtis Samuel, but didn’t end up with a guy until South Florida’s Marlon Mack, who was only Director of PFF Fantasy Jeff Ratcliffe’s No. 14 fantasy running back in the class. Gore is over the hill, but Mack isn’t liable to render Gore an afterthought quite yet. He’s still in the low-end, low-ceiling RB2 conversation. Ty Montgomery, RB, Green Bay Packers: If the Packers had gone running back early — they could have picked up Dalvin Cook to lead off the second—Montgomery might have found himself in a timeshare, or on the bench, or back to being the team’s No. 4 receiver. But with Green Bay waiting until Day 3 and selecting Jamaal Williams (fourth round) and Devante Mays (seventh), it seems like Montgomery is going to still hold the job, at least for the start of the season. C.J. Anderson, RB, Denver Broncos: Anderson’s job didn’t really appear to be in any sort of jeopardy, but with the Broncos (a) not drafting a potential starting back (De’Angelo Henderson, their sixth-rounder, isn’t a 2017 starter) and (b) sending Kapri Bibbs away in trade, Anderson’s job couldn’t really be more secure. DeAndre Hopkins, WR, Houston Texans: Maybe Deshaun Watson is the Houston starter in Week 1. Maybe he isn’t. But unless Tom Savage becomes a different quarterback than we’ve really seen so far in his career, Watson will be the starter before too long. And he can’t reasonably fare worse than Brock Osweiler did in 2016. Nelson Agholor, WR, Philadelphia Eagles: Okay, maybe this is a stretch, but Agholor was a first-round draft pick only two years ago. And now, with Alshon Jeffery, Torrey Smith, Mack Hollins, and Shelton Gibson added to him, Jordan Matthews, and Dorial Green-Beckham in the Philadelphia receiving corps, there isn’t roster space to go around. Maybe Agholor finds a fresh start elsewhere. And if there’s anything to Agholor’s one-time potential, it seems like he won’t be realizing it in Philadelphia. Tabula rasa FTW. Coby Fleener, TE, New Orleans Saints: After a painfully disappointing first season in New Orleans, it might have made sense for the Saints to look for a running mate to be Fleener’s co-pilot and/or eventual replacement. 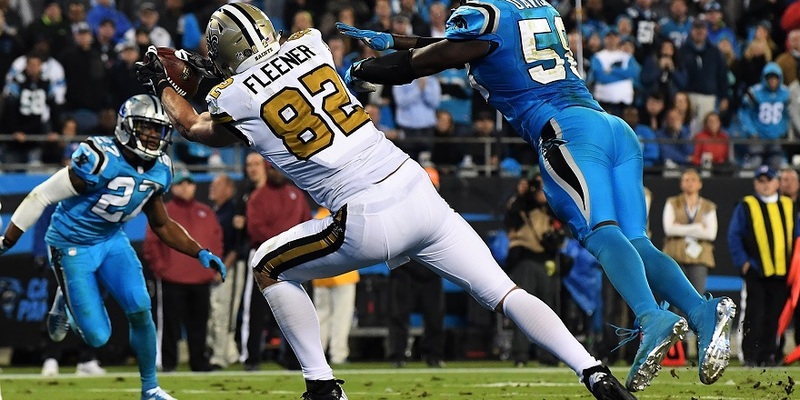 The Saints going tight end-less in the draft has to mean good things for Fleener’s role, even if his ceiling isn’t what many thought it might be when he signed there. Mychal Rivera, TE, Jacksonville Jaguars: Rivera isn’t a TE1 or particularly close, but the fact that the Jaguars didn’t pick up a tight end in the draft means that Rivera (and stalwart Marcedes Lewis) will get the TE looks. He’ll have low-end streamer relevance. Mike Glennon, QB, Chicago Bears: Glennon was decent-but-not-great as a rookie, then the Buccaneers drafted Jameis Winston. And now, only a few weeks into his Bears tenure, he has Mitchell Trubisky looking over his shoulder. That milk in your refrigerator with an expiration date of this Tuesday probably tastes okay, but you certainly aren’t planning on it being in your life long. Brock Osweiler, QB, Cleveland Browns: If the Browns had somehow come out of the draft quarterback-less, maybe Osweiler could have held onto his roster spot. But with DeShone Kizer in Cleveland, it seems like Osweiler’s on his way out. Matt Barkley, QB, San Francisco 49ers: Barkley isn’t anything like fantasy-relevant as it is, but with C.J. Beathard in San Francisco, he might have a fight just to keep a roster spot. Jonathan Stewart, RB, Carolina Panthers: C’mon, you didn’t need this one. Christian McCaffrey, Curtis Samuel and Cam Newton are all in the Carolina offense. Stewart’s days as a big-timer are over. Jeremy Hill, RB, Cincinnati Bengals: The Bengals and the fantasy community had both seemed to sour on Hill even before the draft, but Joe Mixon landing in Cincinnati pushes Hill completely to a backup/possible cut role. Mixon has obvious, very troubling issues, but from a skill perspective, he’s crazy impressive. T.J. Yeldon/Chris Ivory, RBs, Jacksonville Jaguars: Obviously, the starting job in Jacksonville is now Leonard Fournette’s. It’s hard to imagine the Jaguars keeping both running backs around, and even if they do, man, there’s just nothing there for them anymore. Latavius Murray, RB, Minnesota Vikings: Murray’s stock was already down with the move from Oakland (and the Raiders’ stout offensive line) to Minnesota (and whatever it is the Vikings are running out there), but Dalvin Cook going to Minnesota renders Murray just about unusable in fantasy. Rob Kelley, RB, Washington: The addition of Samaje Perine might not make Kelley useless, but it certainly doesn’t help matters. Martavis Bryant/Sammie Coates, WRs, Pittsburgh Steelers: Look, who knows how the addition of JuJu Smith-Schuster will affect the Steelers receivers (they certainly don’t), but there are just so many mouths to feed in Pittsburgh that things can’t go great for any individual behind Antonio Brown and Le’Veon Bell from a fantasy perspective. Travis Benjamin, WR, Los Angeles Chargers: A healthy Keenan Allen will get his. Mike Williams is pretty sure to get his. Antonio Gates is going to get a chance at the tight end TD record, and Hunter Henry is ascending. Benjamin was a mild disappointment in his first year with the Chargers and Williams is likely to steal his targets. 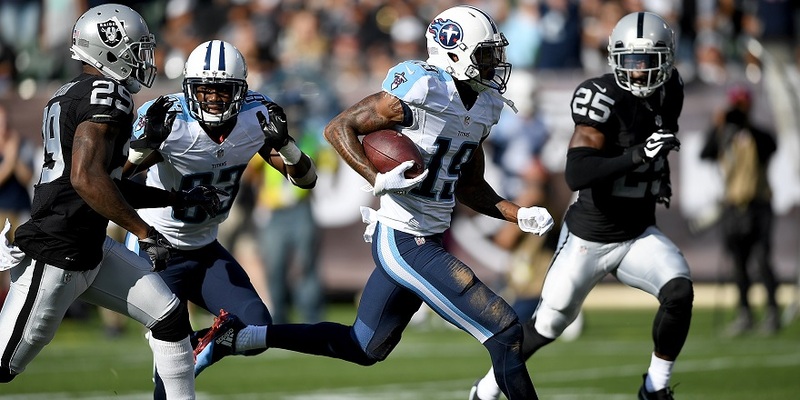 Tajae Sharpe, WR, Tennessee Titans: Sharpe was the fantasy darling of the 2016 preseason, but fell flat. Now, with Rishard Matthews, Corey Davis, Taywan Taylor, Delanie Walker and Jonnu Smith around in Tennessee, Sharpe might have a hard time even seeing the field. Gary Barnidge, TE, Cleveland Browns: Well, he’s unemployed now. Hard to be fantasy loser-er than that. Cameron Brate, TE, Tampa Bay Buccaneers: Weeks ago, our Brandon Marianne Lee pegged Brate as the upcoming fantasy MVP, under the thinking that he’d build on a productive 2016 as Tampa Bay’s clear top tight end. Instead, the Buccaneers drafted O.J. Howard at tight end and added Chris Godwin at receiver in the draft. Brate’s role won’t vanish, but he’s now touchdown-dependent, unlikely to get heavy targets and certainly not fantasy MVP-like. Zach Miller, TE, Chicago Bears: Miller has been productive the last two seasons when healthy. And while “when healthy” is not a dealbreaker when it’s a player’s only caveat, adding in the presence of Adam Shaheen in the Bears offense makes it really hard to expect much out of Miller.